Getting the point across to the audience. No matter what language you speak or where you are from, this is a critical issue at many scenes. Surely, an advertisement is one of the ways that corporations and organizations exploit to get this job done effectively. In order to maximize this flow of communication, creativity plays a great role. Among hundreds of so-called creative directors in Japanese advertisement industry, putting long hours everyday for "the" ultimatum expression for each project, Takuya Matsuo of 17 is the one, capable of creating the optimum. First take a look at these two works from the past. The client is UFJ Tsubasa Securities. These averts stress one simple message, "Having a good partner (in asset management) is essential." And this. Client is Nippon Life Insurance Company. Its core message, "It's great to have a double coverage on this insurance." One thing that a viewer may notice is the simplicity of the message and how easy it is to grasp the point through its visual communication -- the message can be absorbed to the viewers with ease. "When I first got into this industry at Dentsu Inc. (Japan's largest advertisement agency) competitions among the creative directors were very strong. In order to stand out, I could have had 2 choices. One is to exploit the powder of super-famous actors/idols to gain the central attention of the audience. Two is simply, the power of idea/creativity, and I chose the latter. Ever since then, when I am to plan something, I've created a pseudonym figure called George in my brain. He's an expat living in Japan, and when I came up with an idea, I cross-referenced it with George every time to make sure that it is understandable by him." To do so, Mr. Matsuo focused on visual communication -- allowing people to understand the point with less verbal communication. "To me, visual element is more important than verbal element. When a clip is structured in a sophisticated manner, its visual element flows with the time and it automatically delivers the point. If you were to explain the point verbally, another verbal expression is required to support its logic, leaving no room for the visual expression. It ultimately leads to a mundane and complex visual expression." To structure this visual expression in a workable way, Mr. Matsuo utilizes the powder of humor. "The difference between humor and gag is that humor is an universal idea -- it can be understood by literally everyone, including George." Surely, this humor element is contributing strongly on 3 examples, shown on above. When watched, you just can't stop making a grin and at the same time, the message is delivered naturally to the audience. Here's another humor piece. The client is beauty WAM, a aesthetic company and this work won 2009 The Clio Awards. And perhaps the famous humor piece of Mr. Matsuo -- titled Great Supporting Role. The client is Takahashi Shuzoh, a shochu producer. This work won several awards, including Spikes Asia, Adfest 2009, and The Cup Awards (Best of Beverages). 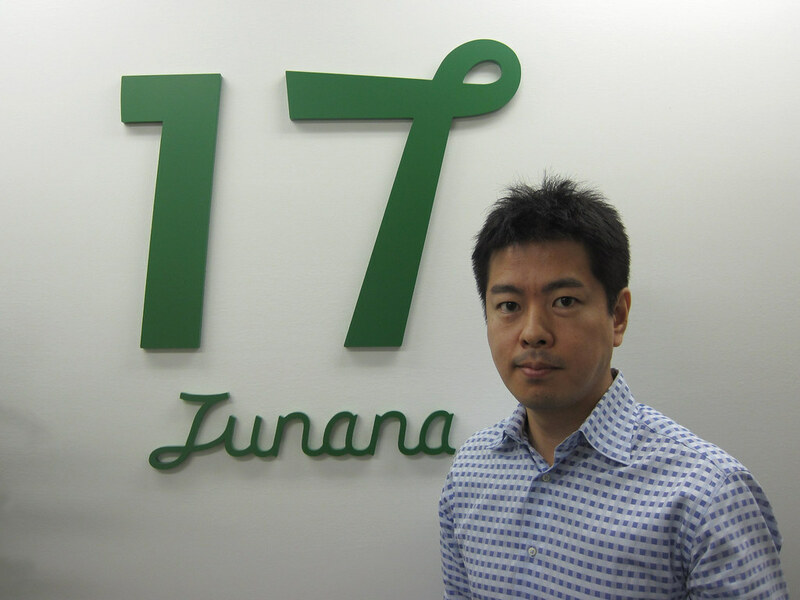 In 2010, after 10 years of creative service at Dentsu and 6 years at Oglivy and Mather, Mr. Matsuo founded 17, a creative agency. Currently, he's been working on mainly domestic projects, and hopefully, his projects will reach out to overseas in the near future. When asked the philosophy behind his company's name, 17, he laughed and said, "17th is my, my wife's, my grand mother's, and my step father's birthday. Plus, my mentor, Mr. Akira Odagiri's birthday is also 17th. To add more, next year remarks my 17th year of career, and the company was founded on November 17th. 17 means a lot to me. " There goes another humor again. 2009-2010 Executive Director, Ogilvy and Mather Japan 11/2010 Founder, 17 Inc.